WELCOME TO FUNK'S JUNK WEBSITE! We are a mom-and-pop operation that has been in operation for over 40 years! We have 4 barns, full of items, plus a 40x60' tent-full! Please visit our eBay Acution Site HERE! You can also visit our Facebook Page for a lot of photos HERE! 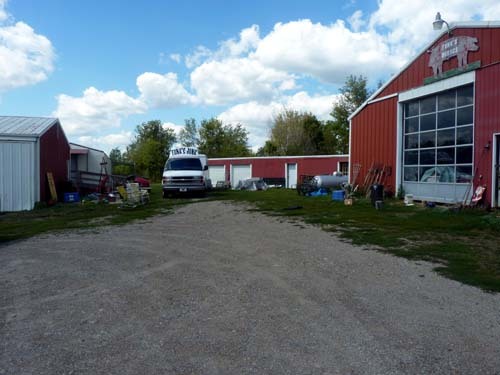 The barns have a little bit of everything in them from antiques, to collectibles, tools, furniture, primitives, and used items. For an appointment to visit, please call 517-567-8671, or 517-567-4245, or you can reach us by cell at 419-553-7785. You can also email us at pdfunk@frontiernet.net. Call us if you have items for sale–from 1 item to a house full! We are also buying smoking pipes.